I’m trying to learn some of the Latin hymns from the Roman Breviary so I can substitute them for the suggestions in “Shorter Christian Prayer”. This hymn is by St. Ambrose, and the translation here is by Fr. Edward Caswell. 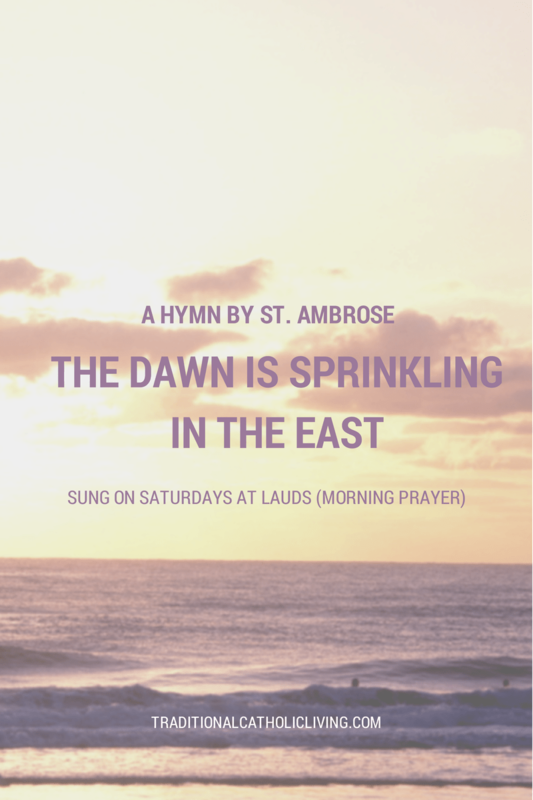 It is sung at Lauds (Morning Prayer) on Saturdays. While everlasting ages run. Amen. Here’s the original Latin, (Aurora jam spargit polum) and yes, it can be sung to the same tune. Or listen to it chanted here. May every unclean thing depart.